Back in June, we reported that Google has plans to provide worldwide internet coverage via a network of floating balloons. Another brainchild of the mysterious Google X Lab, the balloons are to be launched into the stratosphere, armed with solar panels to power its radio and flight equipment. Although “Project Loon” has already entered the early testing stage, there is one question that still needs to be answered: how will these balloons remain evenly spaced out to provide consistent, unwavering coverage? To answer this inquiry, Dan Piponi of Project Loon released a video describing the technique that Google intends to use. The method involves monitoring publicly-available wind data to determine where the currents are travelling at any given time. By altering the altitude of each balloon, they can effectively jump from current to current, changing direction as Google sees fit. 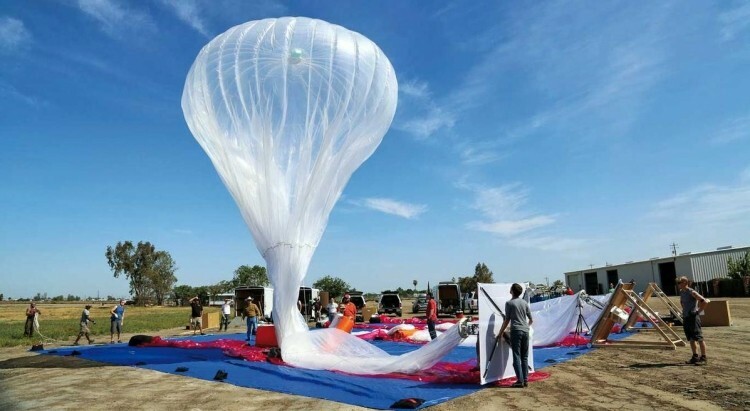 Ultimately, this process would allow the balloons to be navigated with some accuracy, ensuring that the entire network is adequately spaced out. Traditionally, wind currents in the stratosphere travel west to east, so the entire flock would eventually be forced along this path. To address this problem, Google plans to release a steady stream of balloons that will essentially encircle the earth, and if done correctly, stable internet access will be maintained. As with most new technologies, the system is not fail proof and still needs some work. Currently, a computer simulation has been developed to show how the principle works in theory, but this is in no way a finished model. So how did Google come up with this ingenious flight plan? Interestingly, the inspiration came from the way birds flock together when they fly. Be sure to watch the official simulation video below.